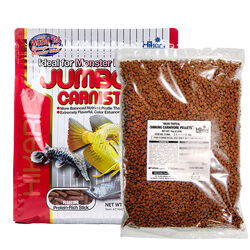 Sinking Cichlid Excel is specially formulated for herbivorous (plant eating) fish. This formula combines wheat-germ, spirulina, vitamins and minerals to provide a diet that is extremely nutritious. Our easy to digest pellet provides powerful color enhancement and promotes outstanding growth characteristics. Sinking Wafers were specifically developed for corydoras catfish, loaches and other bottom feeders after extensive research into their nutritional requirements and eating habits. Keep them active and healthy with Sinking Wafers!